This week has been a whirlwind. Montreal was awesome, but to be honest, it's thrown my blogging schedule a bit off since I didn't get to photo all my outfits on the weekend in advance. So I've been kicking it old school (i.e. like when I first started blogging a year and a half ago) and have been photo'ing and writing my posts the day I wear my outfits. Let me tell you, I much prefer scheduling them over the weekend. Needless to say, when it came to picking out today's outfit, I needed help. So, natch, I turned to Pinterest. Pretty easy to re-create this outfit, right? Except no. How is it that I don't have just a plain old white longish sleeve tee? The best that I could do was this dolman sleeved top, which I've decided I need to give up on because it really isn't flattering. It was fine for the purposes of this last minute outfit, but I know this outfit would be so much better with a regular white tee. So, this is another time when blogging has made me shop. I ended up ordering this top in white and 2 colors since it was half off. If you are wearing a top when you feel self conscious lifting your arms from your side, then it's probably best to retire it! And no, no, I'm not fishing for compliments. The outfit is fine, I just know it could be *better* is all. And I also know from Clinton and Stacy that I should always give the illusion of an hourglass figure, and this just doesn't do it for me. Lesson learned! Linking up for: Thursday Favorites, Tres Chic, What I Wore to Work, Working Girl with Style, Spotlight Weekly Linkup with Elle and Jacqueline, Look What I Got with Sharon and Tara. Considering the circumstances, this outfit came out pretty good! Love, love those booties! I have pinned that exact same image and you are rocking it! I love this outfit so much. It's a great combination! I am anxious to try it again with a regular fitted tee! 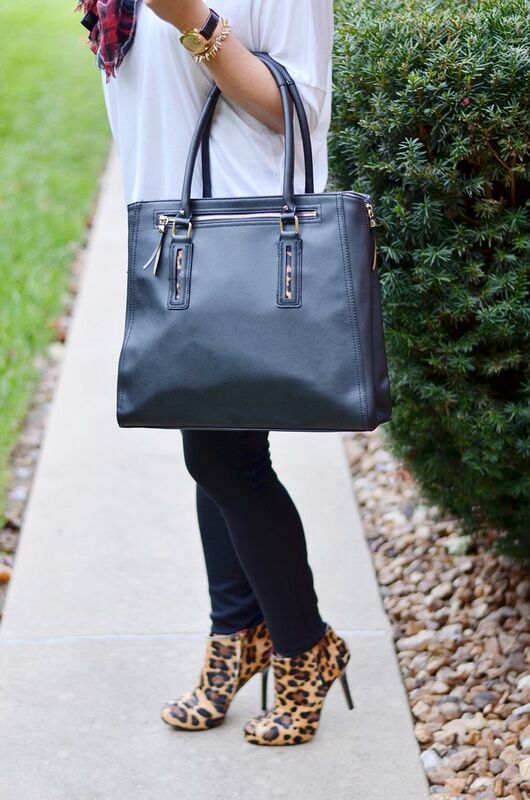 I removed leopard booties from my list but now I want them again and I blame you lol. Cute outfit. But whyyyyy!! They are great! But you do have those DV lace up animal print heels. And your climate is a lot more mild than ours. So I get it. But I was so excited to bust these out for the season! I pinned it too! Perfection! Love! Awesome recreation! I hear ya on unflattering shirts. I'm working on weeding things from my closet and possibly not replacing all of them... yikes! I used to love this style, but I'm realizing it's just not the best! I do still like the combo tho, so I shall recreate it one more time! Yeah I agree that it's not the worst. It's fine. I'm just already pretty wide in the midsection and in my shoulders so this accentuates the wrong areas. And perhaps I should have said it that way instead- that it doesn't make me *feel* good. I really want to re-do the outfit with a regular tee and do a side by side shot. I know what you mean about outfits that just doesn't make you feel good. This outfit came out pretty good I thought. Well thanks for that! I just know it can be better. If I had time, I would have just redone the outfit altogether before posting! i love your outfit and the boots are hot, i also started blogging over a year and half ago and sometimes it can be really tasking. Great Pictures. These boots are the best! It's going on 3 years now or so, and I still love them like day 1! I think you did a bang up job recreating this look! The scarf + bootie combo is so good. I have never done this with Pinterest, It looks like a fun way to inspire. YOu did an excellent job! 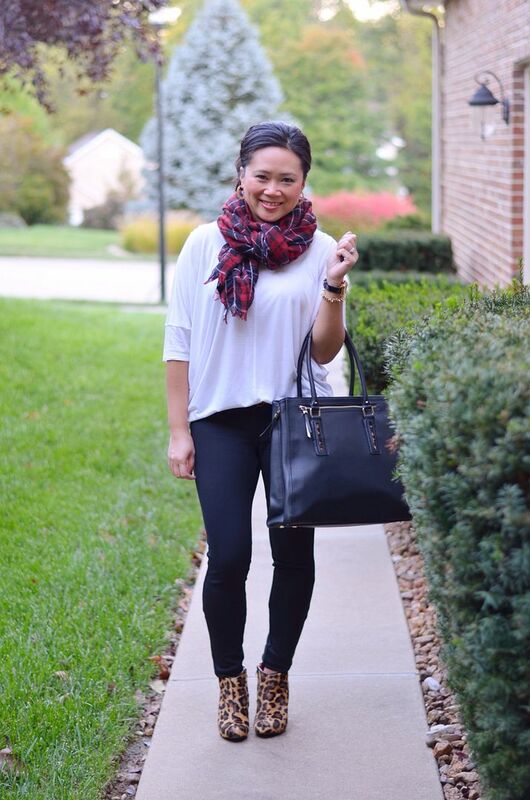 Love the fall scarf, that mixed with the leopard booties so cute!! 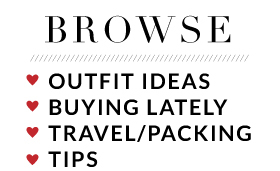 Oh, you totally need to do this with pinterest! It's the best when you're in a style rut! 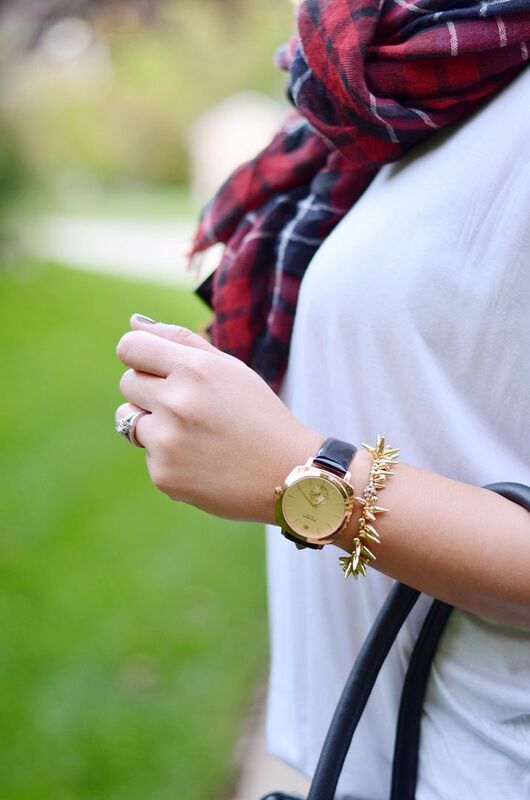 I love the leopard booties with the plaid scarf! 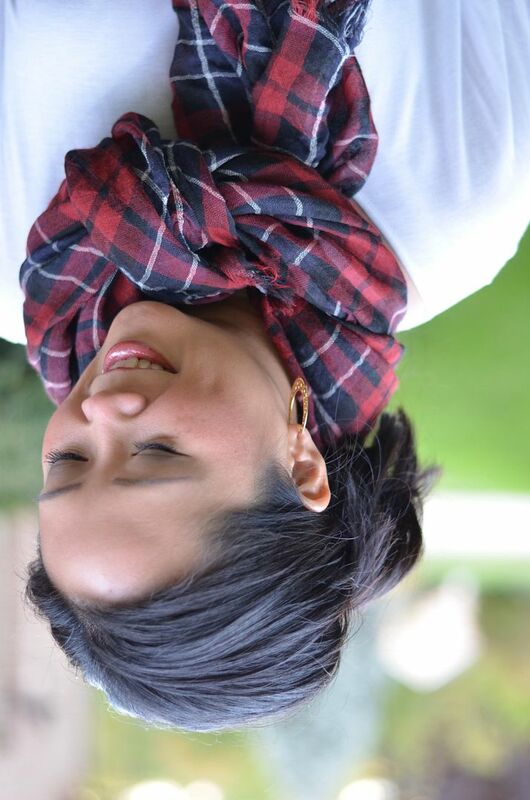 I have on a plaid scarf today and they are perfect for fall! I like how casual the rest of the outfit is, accessories are the key! Yes - totally agree! Thank you! Love the scarf!! Your look is too cute!! 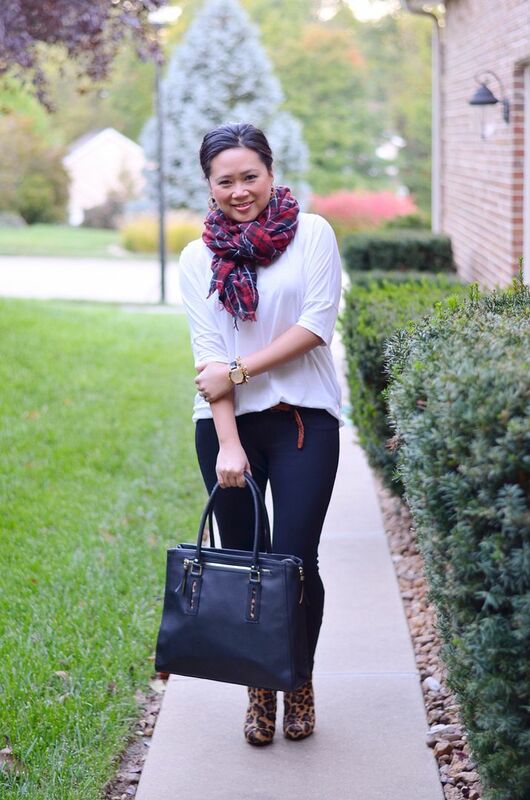 Love the scarf and the mix of prints here! 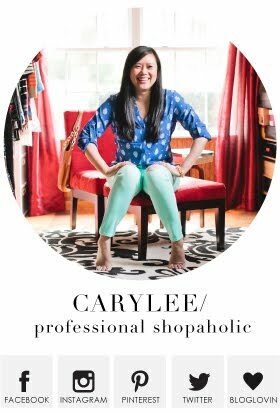 You look so chic as usual Carylee! You are sweet - thanks! Love your story. I have sooo many tops/pants that I've had forever (but haven't worn in forever) and when I do wear them, I'm so uncomfortable and "disappointed" I decide right then and there to rid of it permanently. But, hey at least we can say we tried!! Yep - style is all about learning and evolving! It's all good - I still felt good enough about it to leave the house in it :) I just know it could be better! I have that outfit pinned too and I love it!! You nailed it. Such a great look! Those boots are awesome!! I know what you mean about a plain white tee - I didn't have one in my closet until recently. P.S. I hope you will join TBT Fashion link up - it's up on the blog now. Thanks for the heads up! I will check it out! Hahaha, love me some Clinton and Stacy! On the brighter side of things, your jeans fit you like a glove and AWESOME! Thank you!! I do love the way Express bottoms fit me! I love you look !